Haitians have a homemade remedy for everything. 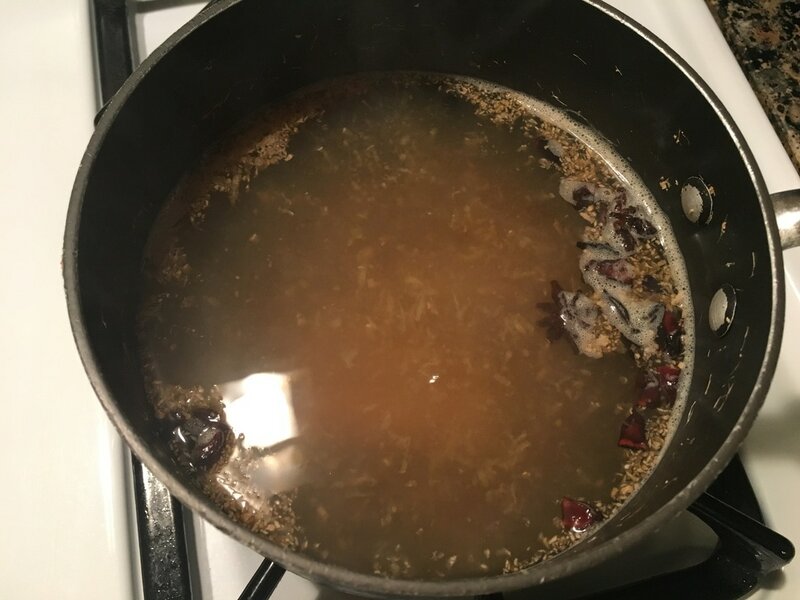 From bathing in orange leaves to smearing “lwil maskreti” all over your body, if you have some sort of symptom, my grandmother would pull out the herbs and create some form of Haitian concoction that will leave you feeling like Superman in the end. I’ll have to admit, some of the teas they make taste horrible! 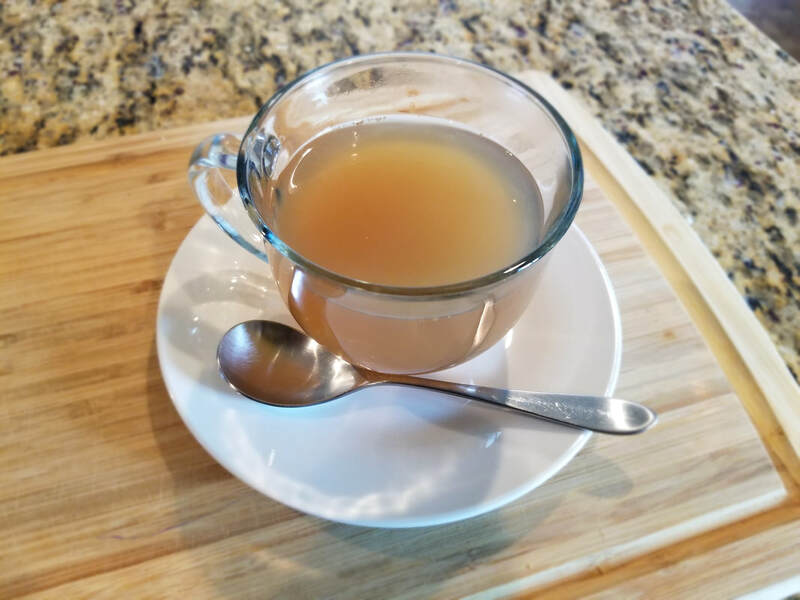 When I was little, I was almost scared to tell my mom I wasn’t feeling well because I knew she would bust out with those horrible tasting teas and force me to drink it. I’m not going to lie though; those teas did the trick. Always made from natural ingredients of herbs and spices, the right combination does wonders. 1. 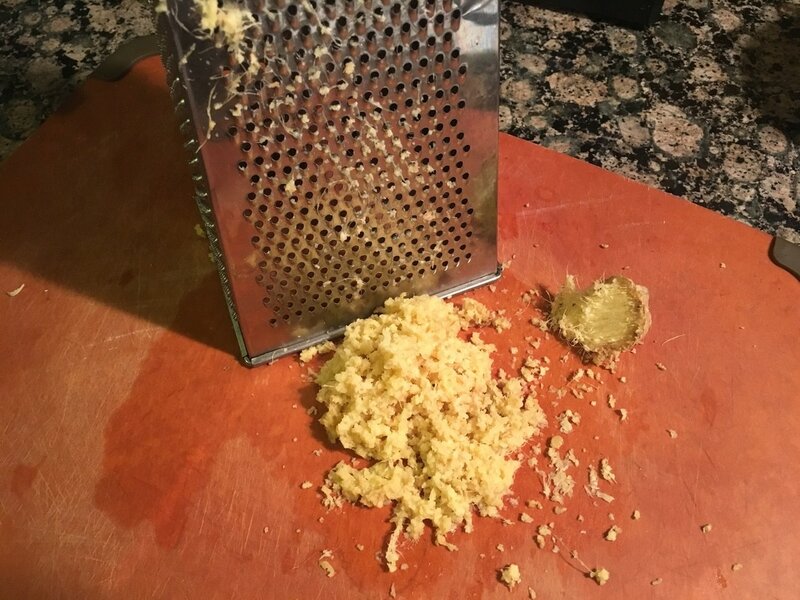 Using a grater, grate about 2 tbsps. worth of fresh ginger. 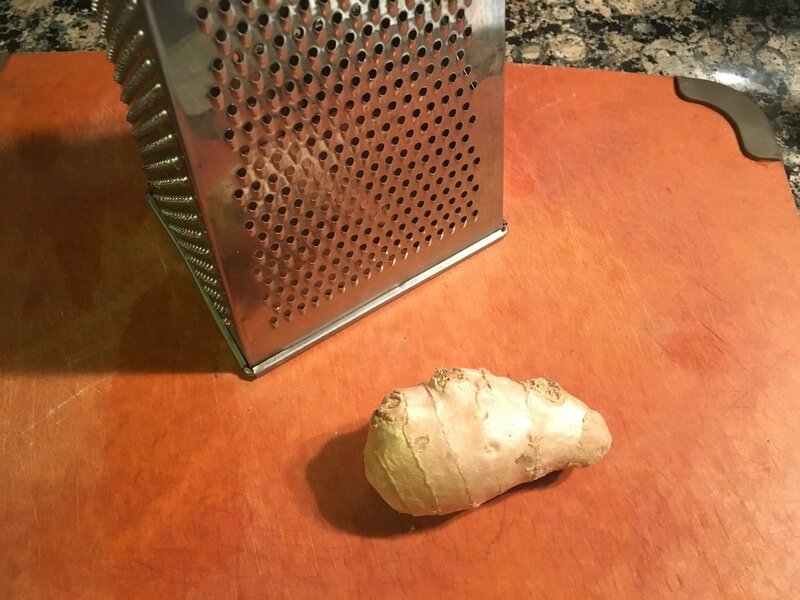 Rinse the ginger first but there is no need to peel or remove it's skin prior to grating. 2. 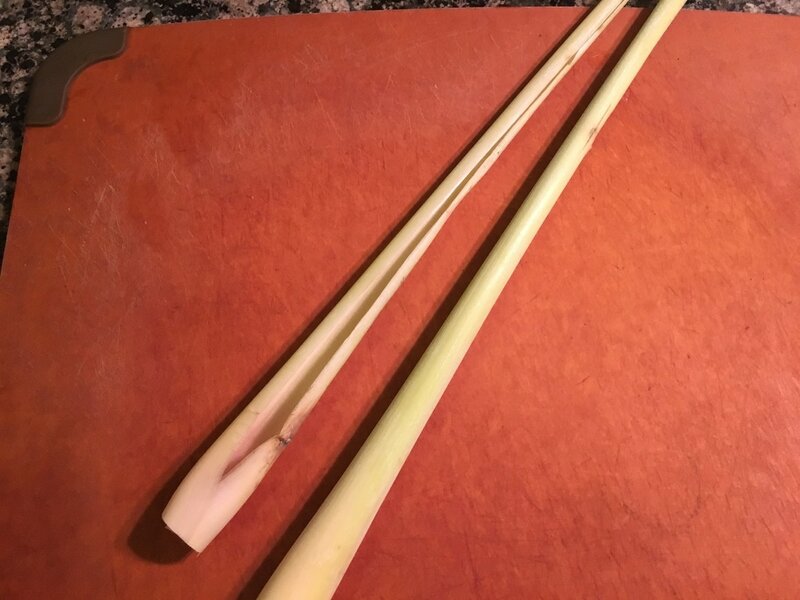 Cut off the root end of the lemongrass and discard. 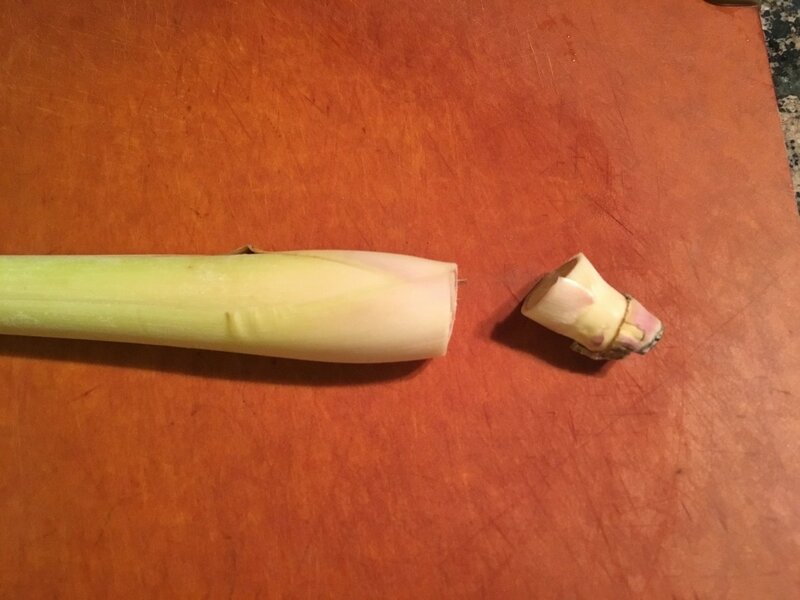 Remove only its first outer layer and discard as well. 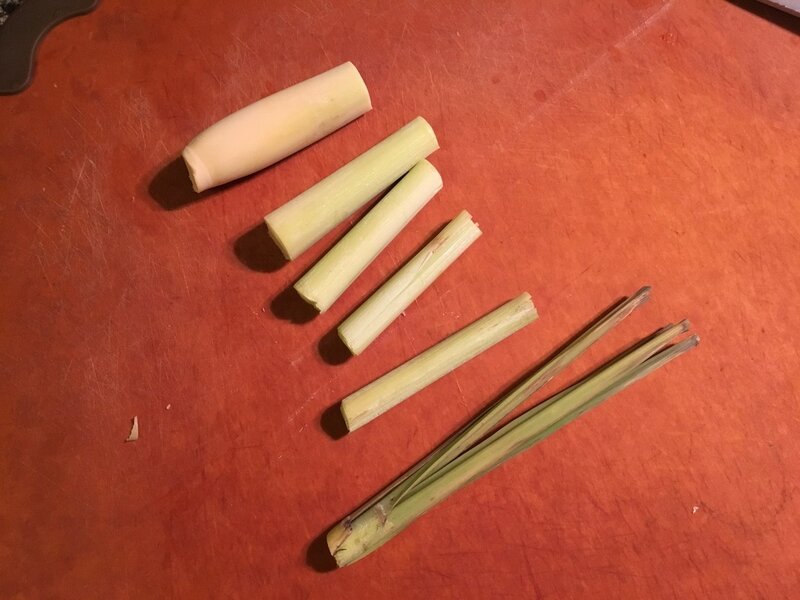 Rinse off the lemon grass then cut into pieces that will fit into the pot. I personally discard the blades at the top. They're not as fragrant as the stem and they were a bit dried up. I don't feel like they contribute much to the tea anyway. ​3. 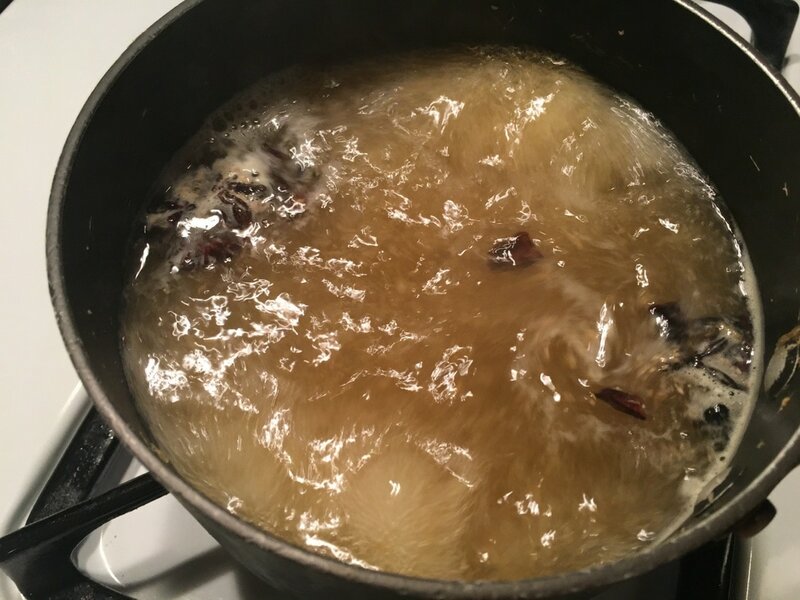 To a pot, add 4 ½ cups of water, the 2 tbsps. 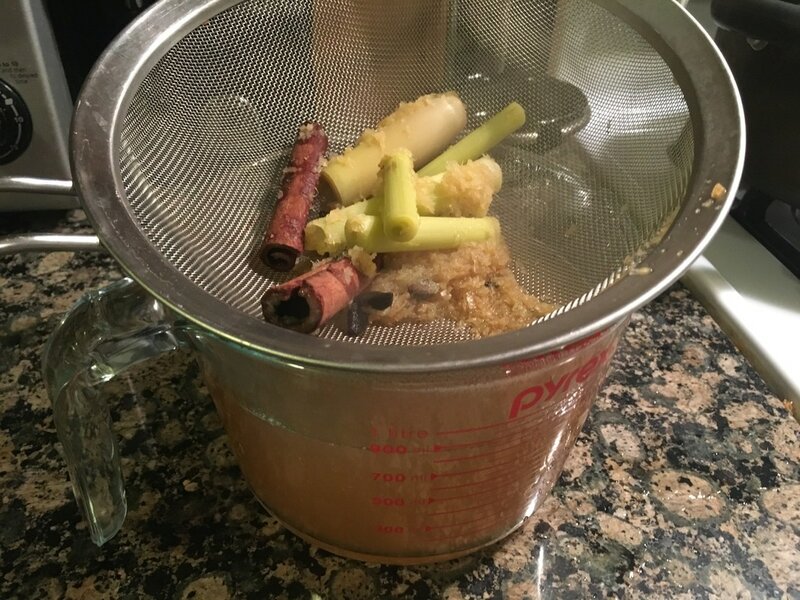 of grated ginger, the lemongrass pieces, 2 sticks of cinnamon, and about 1 tbsp. 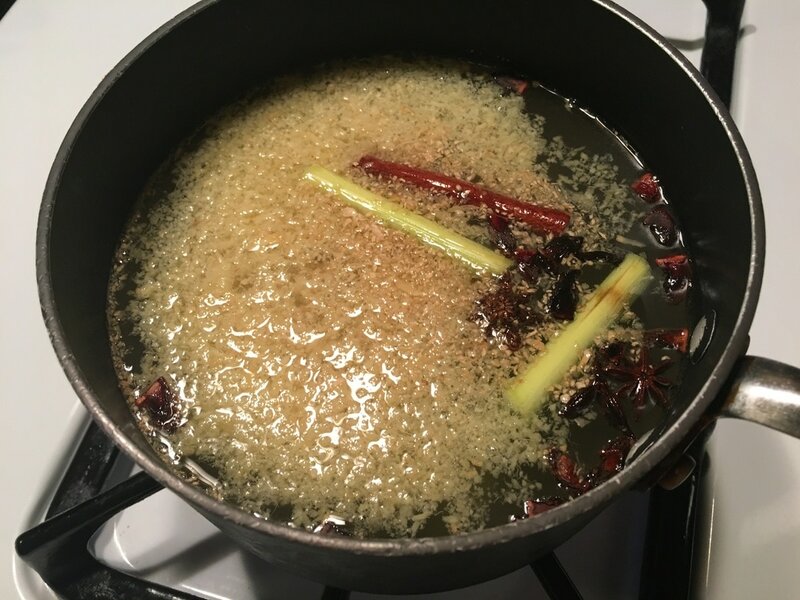 of star anise. 4. 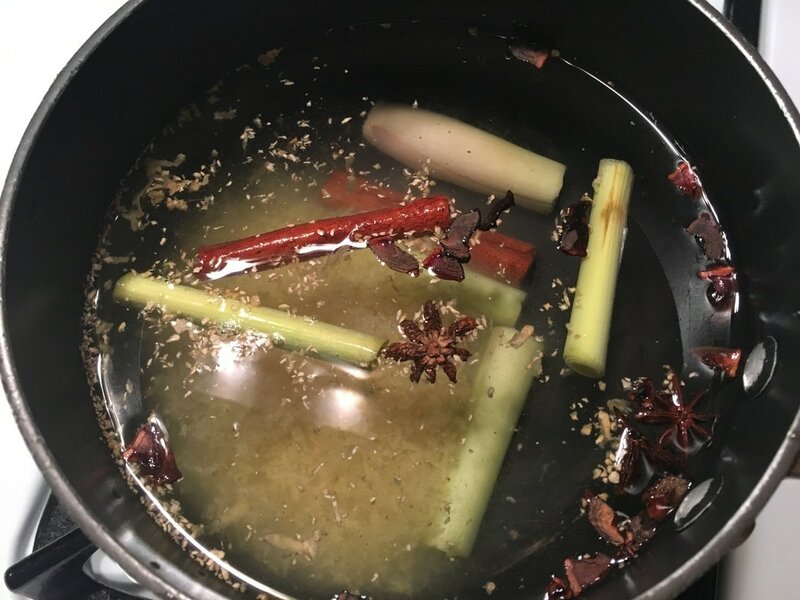 Turn heat to high and bring liquid up to a roaring boil. 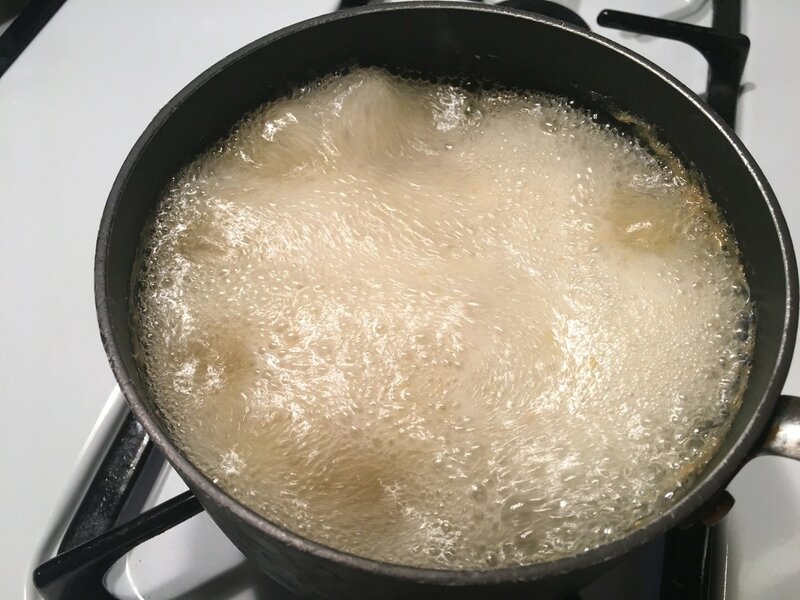 Once it has reached a boil, reduce heat to medium and continue to boil for about 10 minutes. ​5. Turn of the heat and strain the tea through a fine mesh strainer into another container. ​6. 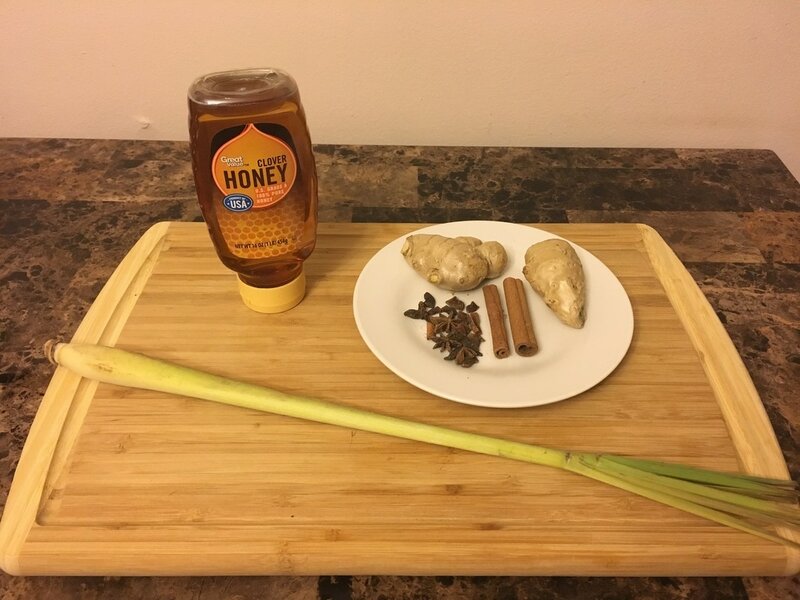 Pour tea into a mug and sweeten with honey and/or sugar to taste. I like mine on the sweeter side and usually add both. Enjoy alone or with a side of Haitian bread! 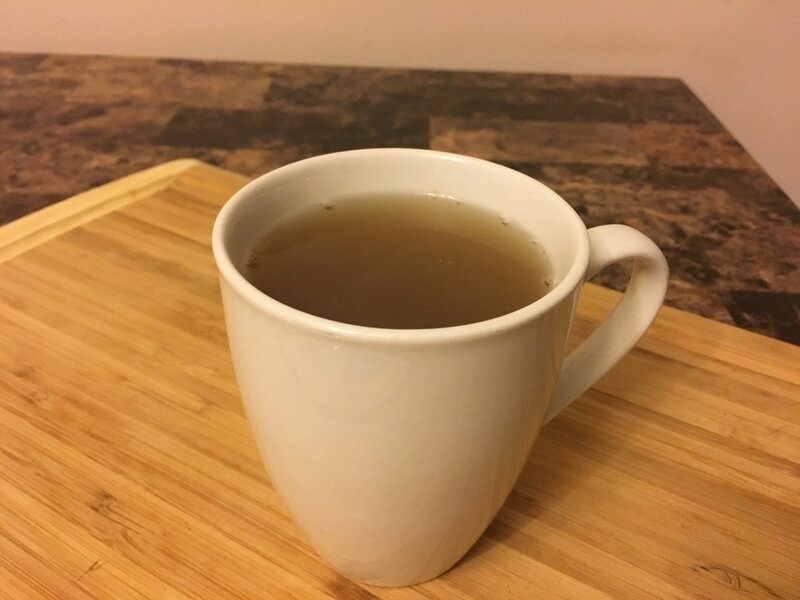 What do you think of this tea? How do you make your "te jenjanm"? Let me know and comment below!